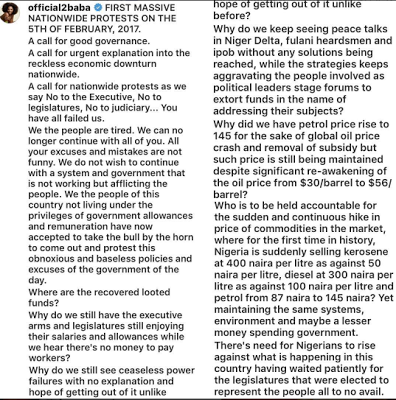 Popular award winning musician Innocent Idibia popularly known as 2baba has called for a national protest. 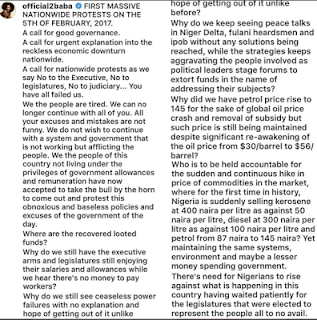 on his instagram page today. We are waiting to see how successful this will turn out.